Originally Published in The Australian Financial Review on the 29th of November 2018.
by Kevin RuddThe establishment of the G20 at the Washington Summit 10 years ago was, as Wellington remarked just after defeating Napoleon at Waterloo, a near run thing. It could just as easily have been a radically different result. Indeed, once again it was the French, this time under Sarkozy, who had campaigned hard in late 2008 for a G12 or at most a G14, rather than the wider grouping, and one that would have excluded Australia from the world’s top economic table. These days, it seems to be taken for granted by the conga line of conservative prime ministers that have come and gone since my government left office, that the G20 was not only an easy get for Australia, but has also now become a permanent feature of the international political architecture. Both these views are radically wrong. Not long after the Lehmans collapse in September 2008, I visited the United States. The Bush administration, smarting from the political reaction to its decision to intervene to save Bear Stearns from collapse in March, decided to let Lehmans go to the wall. When financial markets then imploded around the world, the administration then focused all its energies on trying to negotiate its Troubled Asset Relief Program (TARP) through the congress to save the rest of the financial system. They got it through on the second attempt in early October, while the rest of the world, including Australia, held its breath. But global market confidence had been shattered. The problem was now much bigger than America. It was also bigger than the G7 because of the collective punch now represented by the emerging economies, led by China and India. The administration realised they needed to convene a much wider gathering to co-ordinate further financial, fiscal and monetary policy action to prevent the crisis from spreading. In particular, economic stimulus at a global scale was needed to stop a rapidly unfolding recession from tail-spinning into a full-blown depression. In the ensuing diplomatic battles of October-November 2008, a battle-royal was had between Australia and France on the size of the post-G7 grouping. I was tipped off by a close friend in the administration that the emerging consensus in Washington was to keep the expanded grouping as tight as possible – maximum 14 states, with the additional slots occupied by China, India, Brazil, Mexico, South Africa and possibly Egypt. And no Australia. France was the leading advocate of this position, based on the logic that the smaller the body, the larger the continuing international influence to be wielded by Paris. And Sarkozy’s view was that Australia’s inclusion, as the 12th largest economy in the world, could not be allowed because it would leave Africa without a seat at the G14 table. 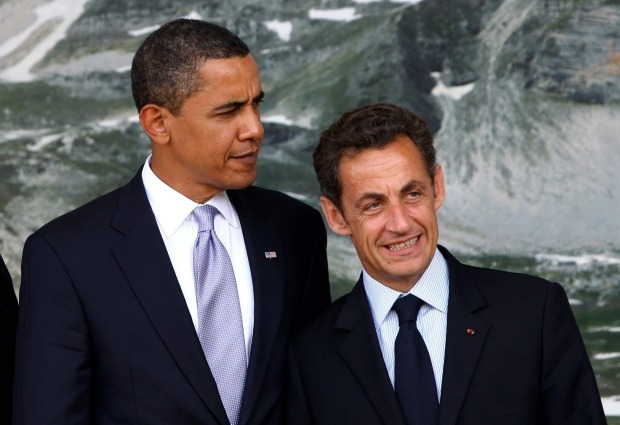 Besides, Sarkozy saw Australia as merely another voice for the Anglophones. Our government then went into diplomatic overdrive in a global political offensive to counter the French. In the end we prevailed with the US, China, Germany, Britain and Mexico backing our case. But that was only round one. We then had to persuade the incoming Obama administration to keep the G20 (given it was his predecessor’s initiative) and then to make it into a permanent institution of global economic governance once the immediacy of the crisis had abated. That’s where France lined up for round two in 2009 and tried to kill that idea stone dead. Once again we entered the fray, this time mobilising not only our traditional supporters, but the new members as well, including Indonesia, South Korea, Turkey, Saudi Arabia and Argentina. Australia in effect became the shop steward of the “newbies” as we fought to keep the institution alive. Once again, the US bought our side of the argument, and the long-term status of the G20 as the primary mechanism of global economic governance was confirmed at the Pittsburg Summit of September that year. 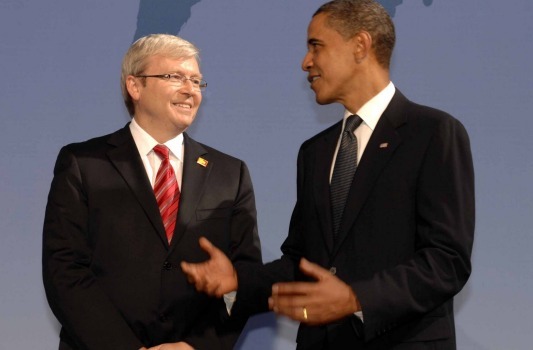 Some have criticised the G20 for not being more effective. The truth is it has achieved two of its three mandates: it instituted a series of structural reforms to the global financial system through the subsidiary body it created (the Financial Stability Board) and the Basel Committee to reduce the likelihood of a repeat crisis; it broke the fall in markets in March 2009 when the London Summit co-ordinated a $US5 trillion ($6.83 trillion) stimulus package, thereby averting a second Depression; while it has had at best mixed success in charting a course back to long-term, sustainable growth while returning G20 budgets to surplus. Despite its historical successes, however, there is no guarantee that the G20 will sustain its privileged position into the long-term future. While its mandate has widened, its record of achievement has narrowed. It has failed to arrest the growing global tide of protectionism. It has failed to bring about greater global ambition on climate change action post-Paris, with the International Panel on Climate Change (IPCC) reporting that global emissions have actually started to increase again. The G20 has also failed to discharge any wider foreign policy mandate in ameliorating the deep deterioration in US-Russia and US-China relations that now lies at the core of the dysfunctionality of much of the remaining global rules-based order. The danger for middle powers like Australia is that if the G20 is perceived to fail, it may not end up being formally abolished, but it may well just fade away. Many of the old G7 would be delighted. Non-G20 members who have no place at the current table would be equally delighted. That is why it is imperative for the Australian government to radically lift its game in preventing G20 political inertia, sustaining the G20’s institutional relevance by actively refining its agenda, re-emphasising its core economic and financial stability mission as we once again approach the end of the current global economic cycle; defending free trade against the ravages of the Trumpian protectionism; and coalition-building with China, France and other like-minded countries in revitalising global momentum on climate change action before its too late. Australia should see itself as the unofficial, chief shop-steward of G20 activism. Because if the G20 falters, fails and fades away, we will lose our hard-won seat at the top global table. And we will not see another opportunity like it for decades to come. If ever.